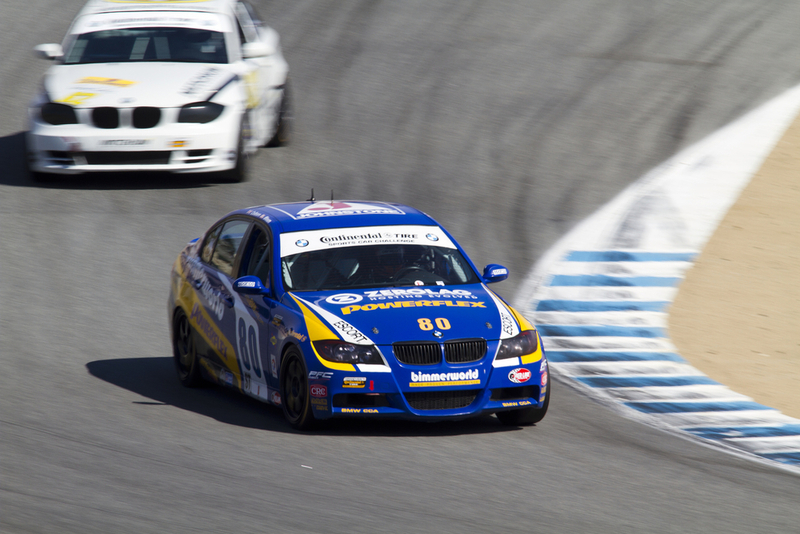 NEW CONTENT (March 2019): New AiM Video(s). 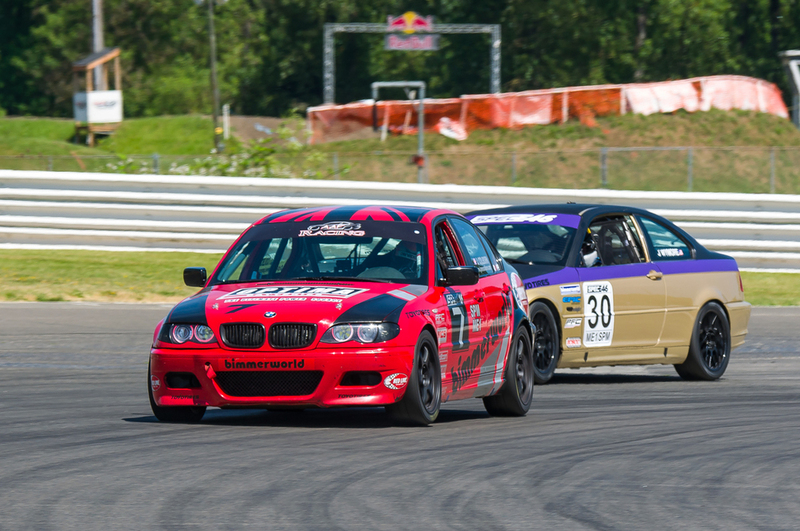 Race Schedule Updated for 2019 FF1600 Season. 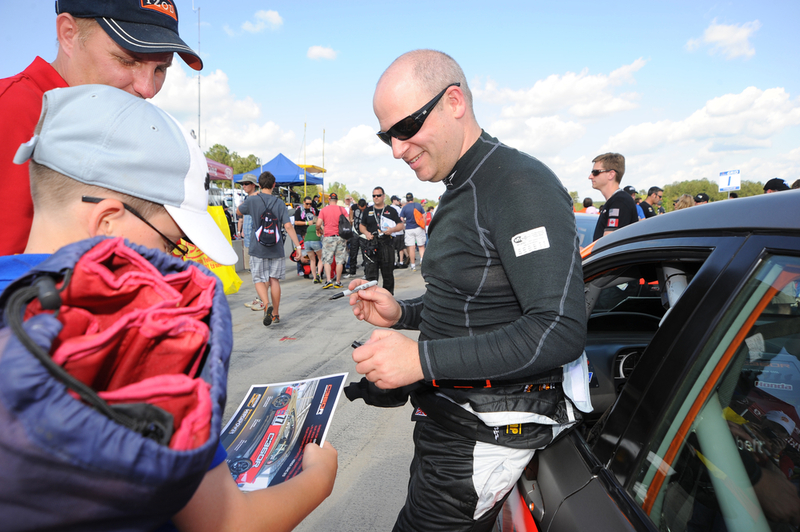 New Diary Entry. 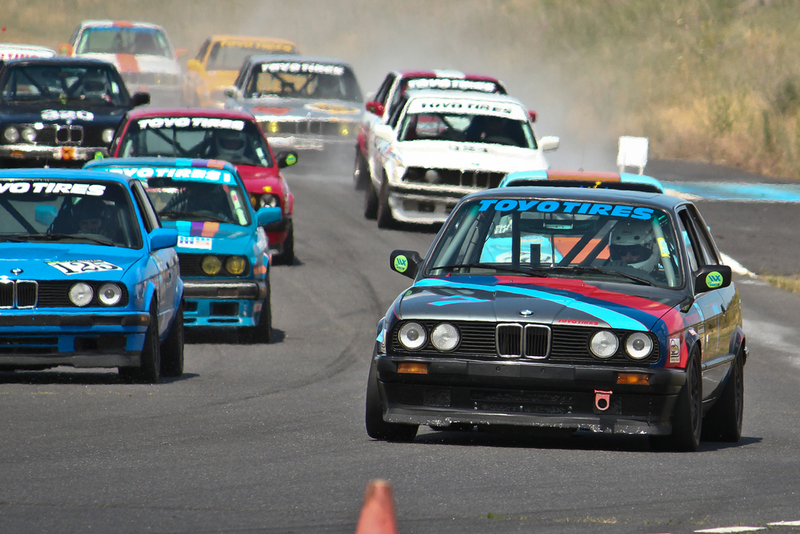 After analysing the consumption of data videos on YouTube and on this website, it was clear that despite many videos being 10 minutes or more in length, people only watched, on average, 2-3 minutes of the videos themselves. 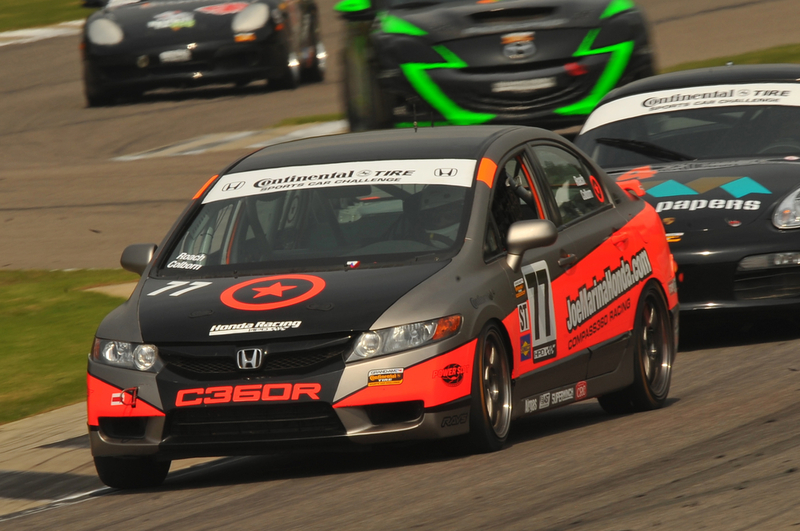 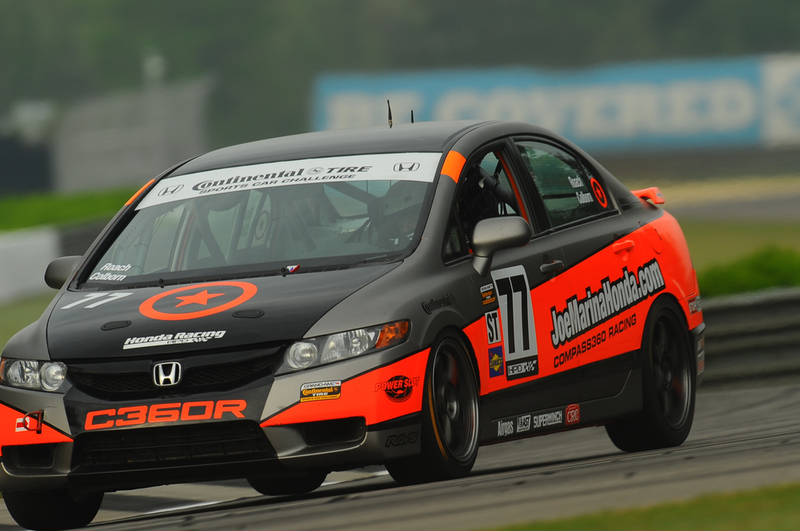 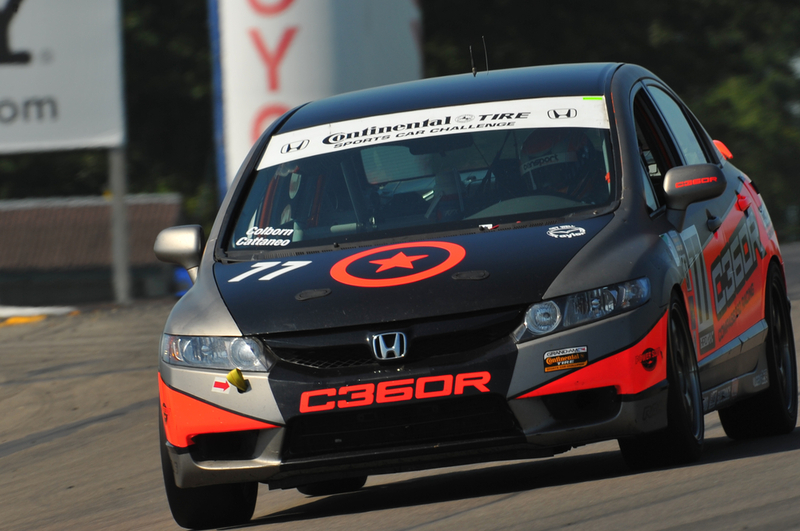 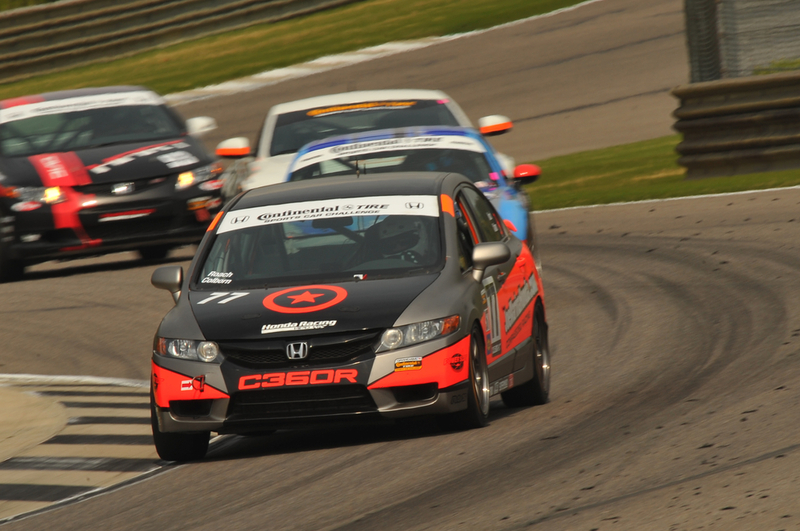 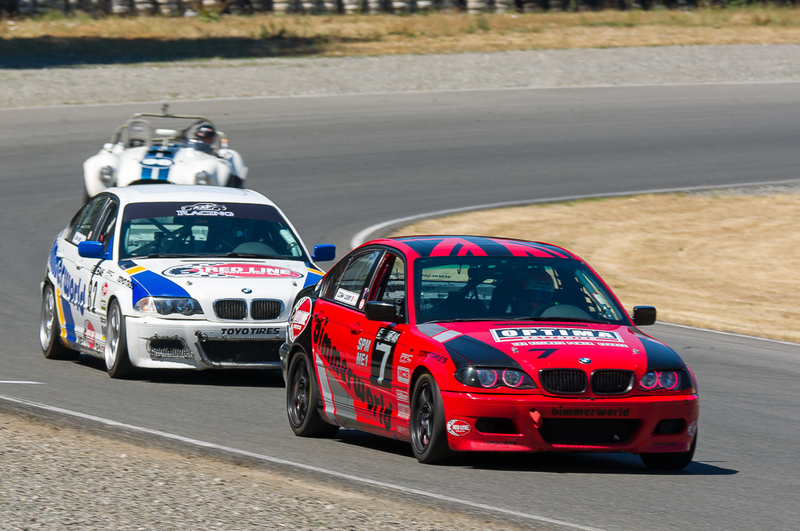 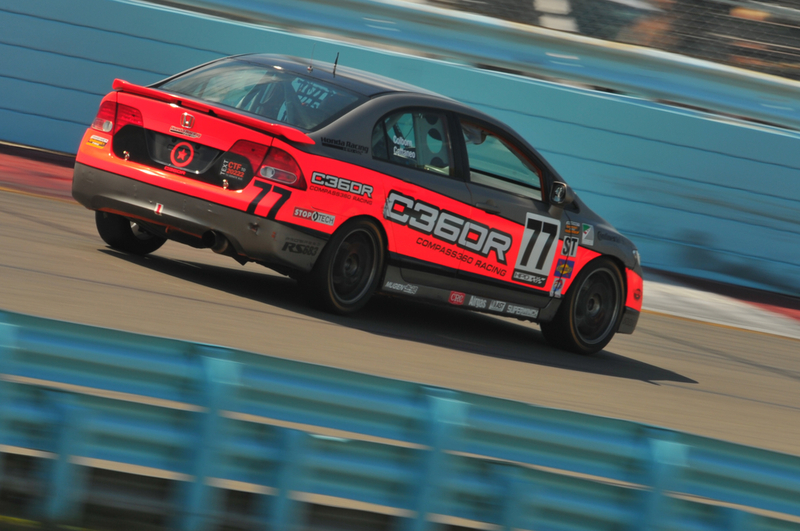 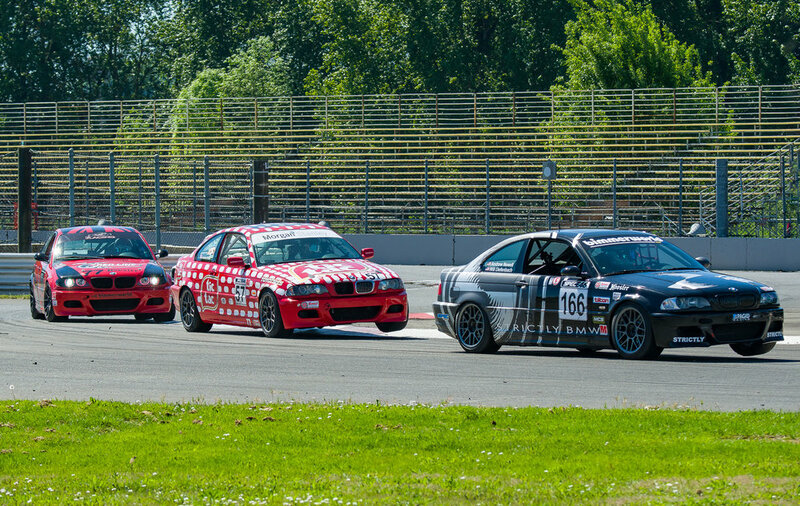 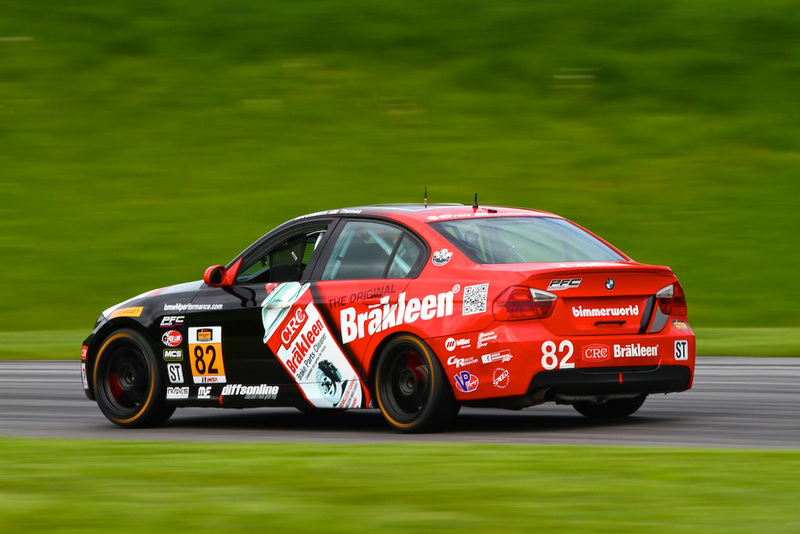 Watch from James Colborn's in car camera live from the SCCA Majors Tour (Hoosier Super Tour) at Portland International Raceway (PIR). 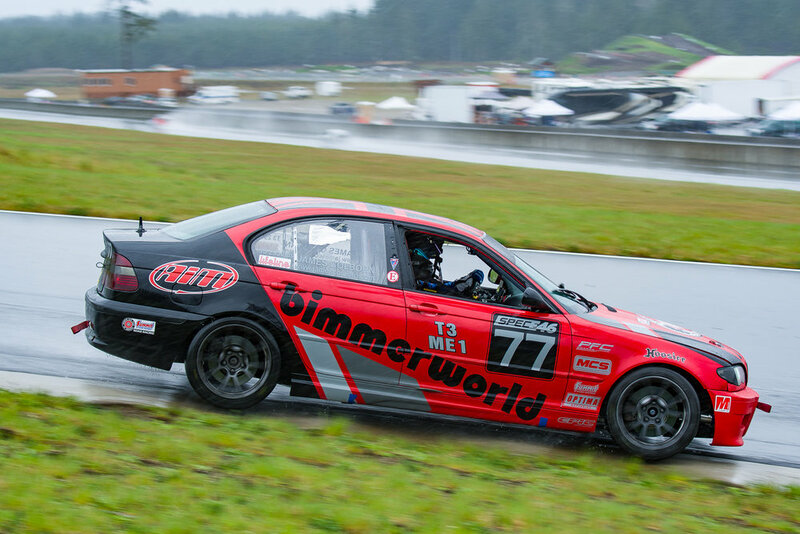 Live streaming will be available during Saturday qualifying (9:20am PST), Saturday Race 1 (1:10pm PST) and Sunday Race 2 (10:35m PST). 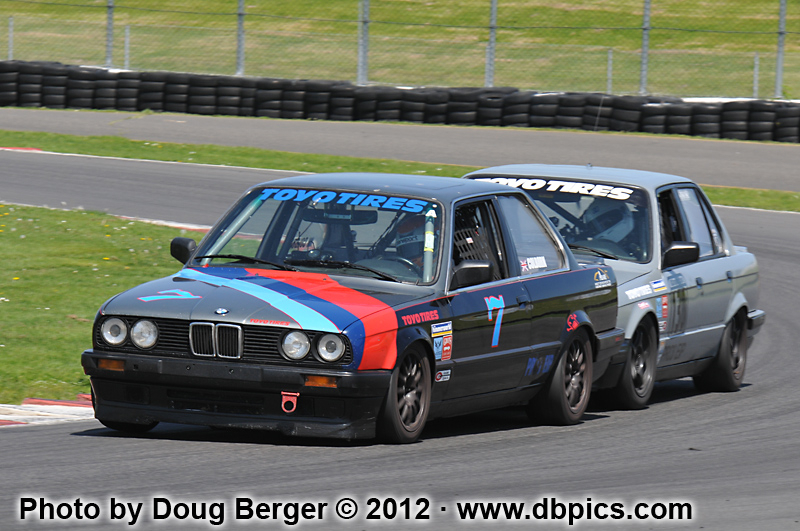 Recording of #77 SE46 (T3) competing in the SCCA Majors Tour race at Thunderhill in April 2017. 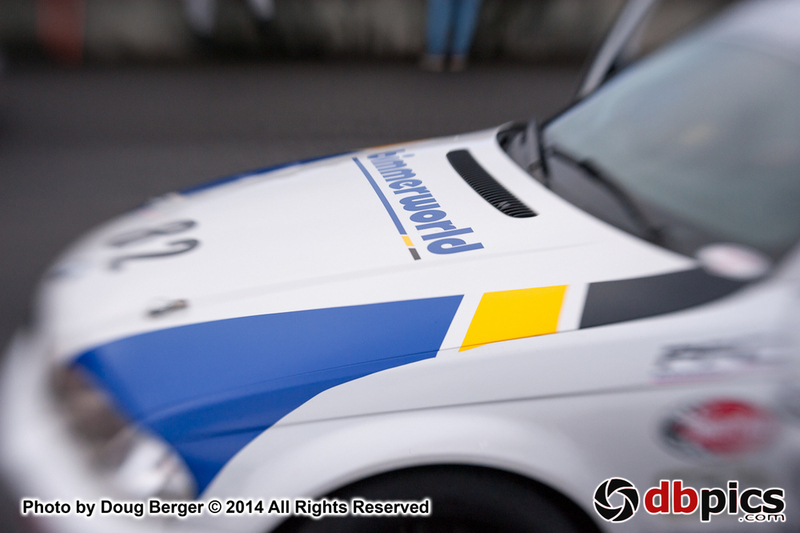 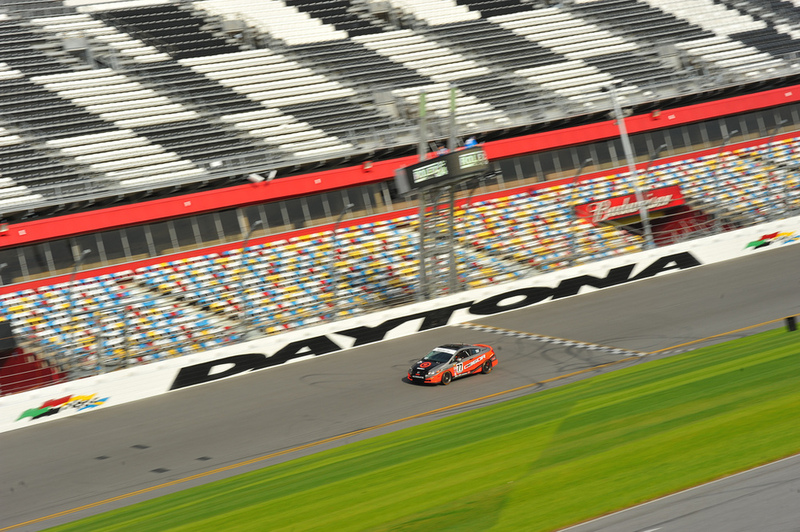 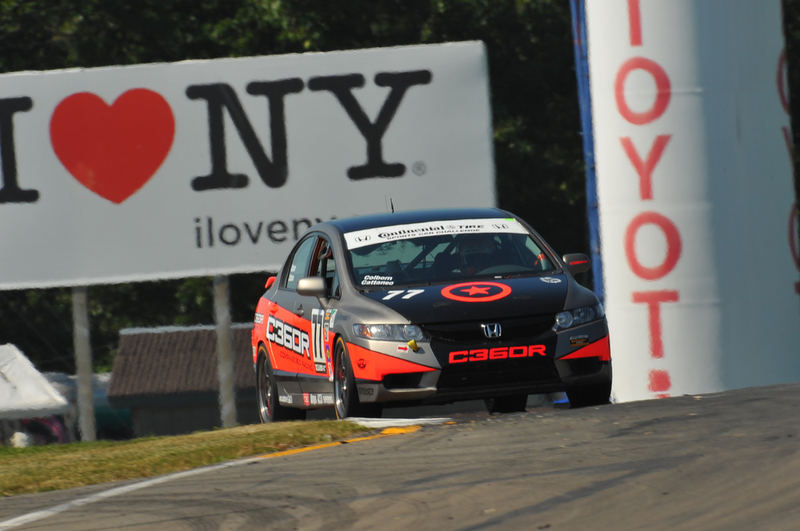 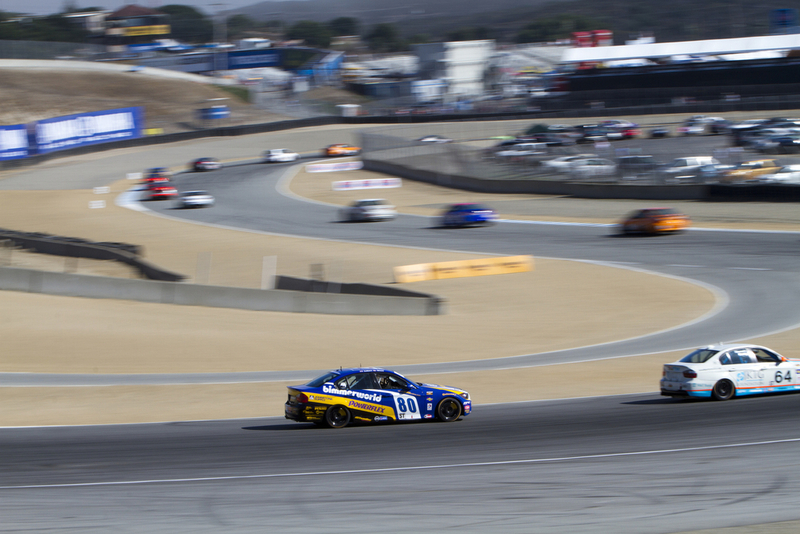 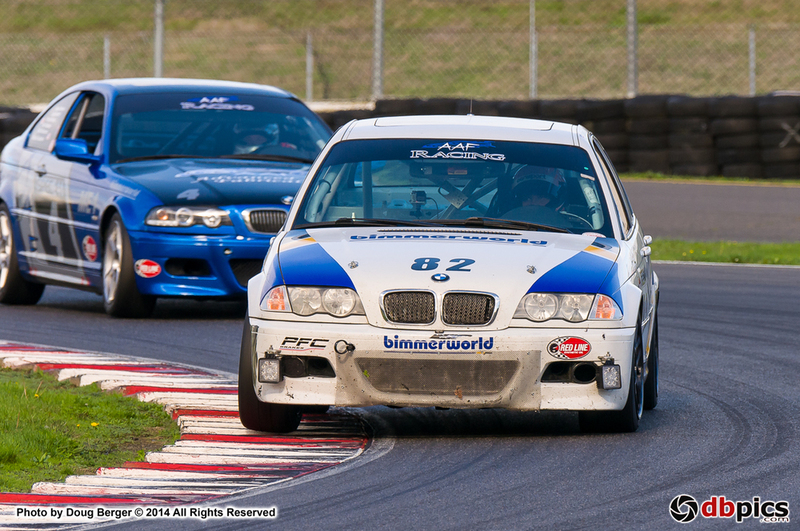 Race 2 coverage is now available to view. 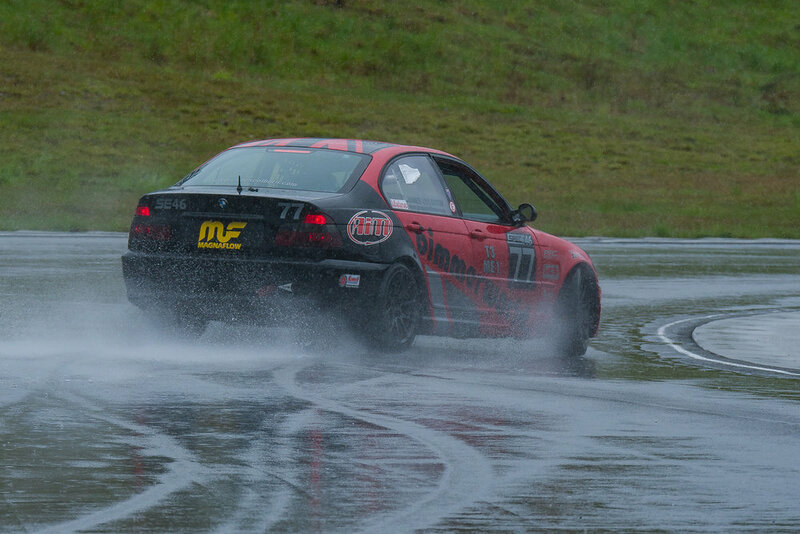 2016 was another fantastic year. 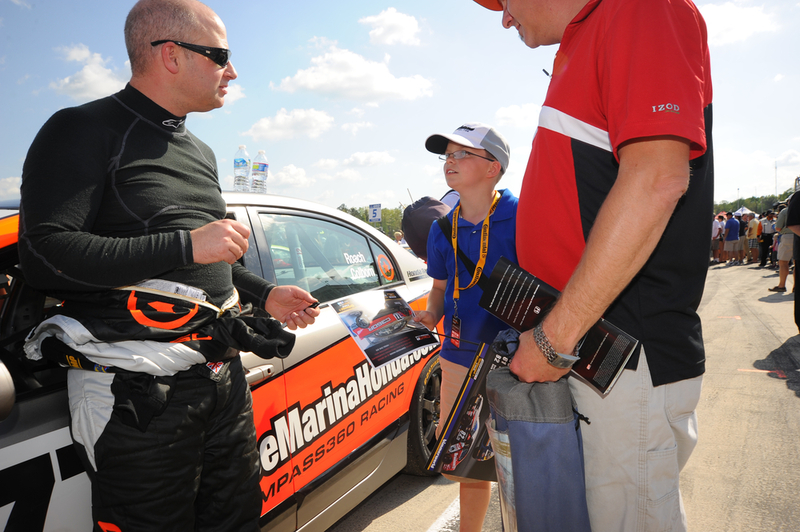 I made a personal gain in how I drive, thanks to the coaching and support of my fantastic race friends, and I had some superb results. 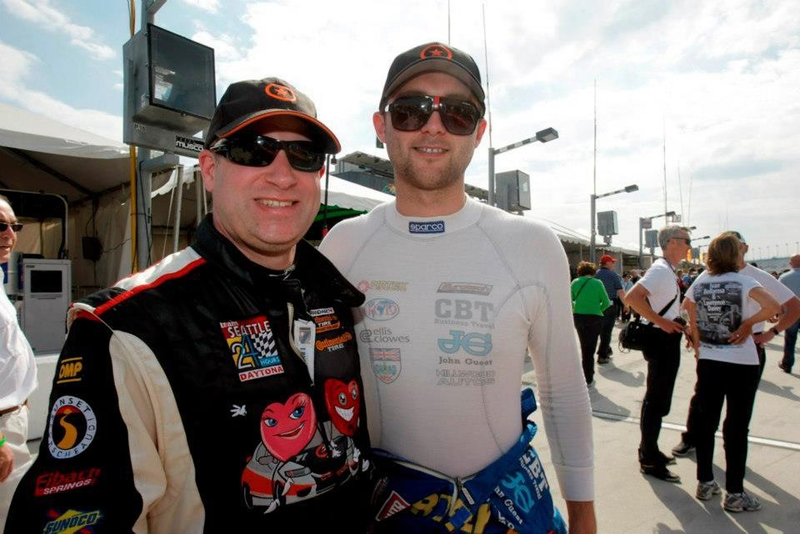 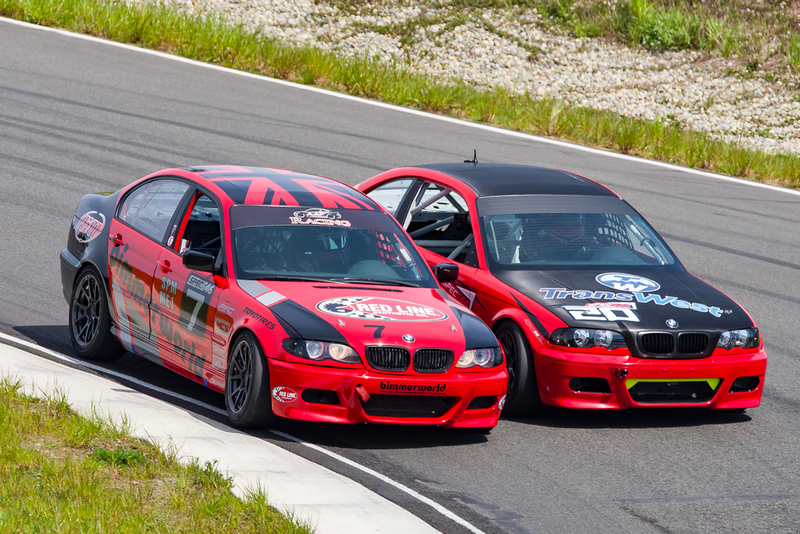 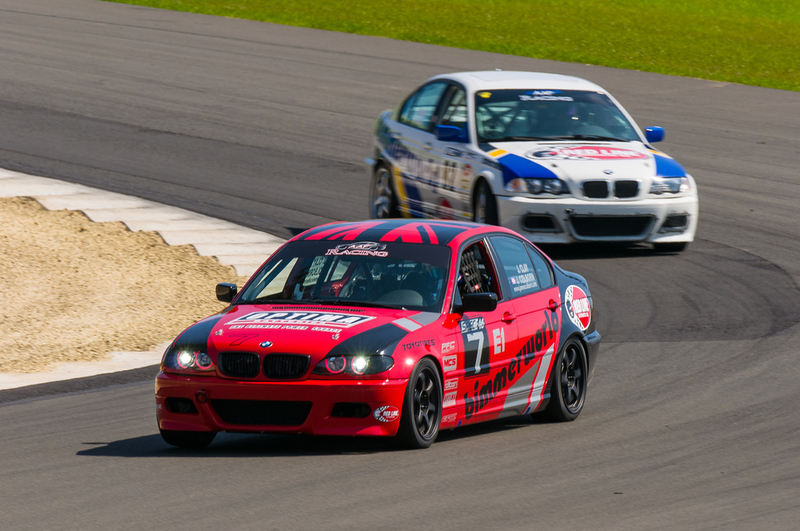 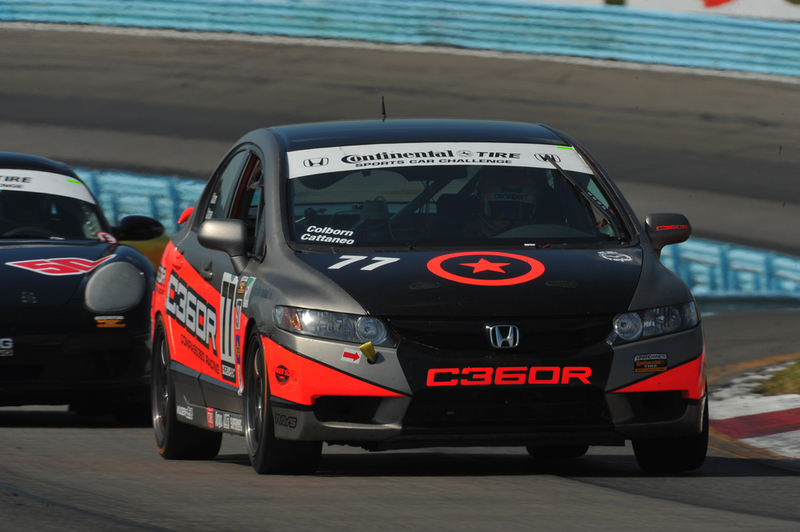 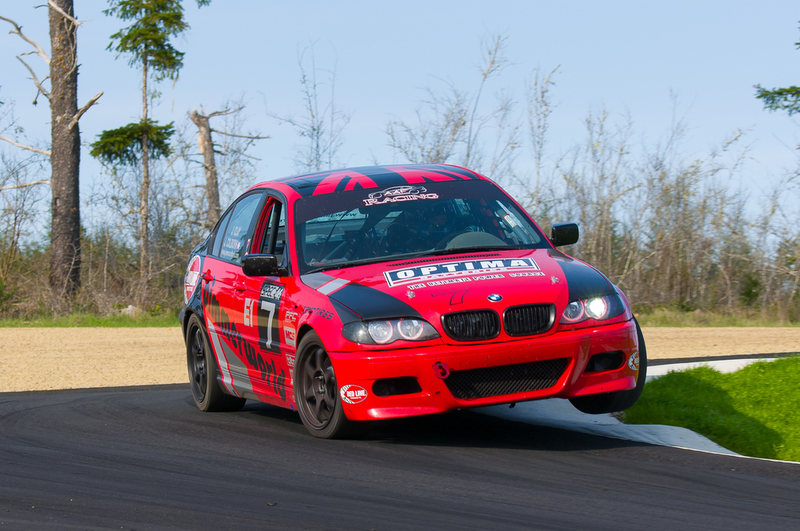 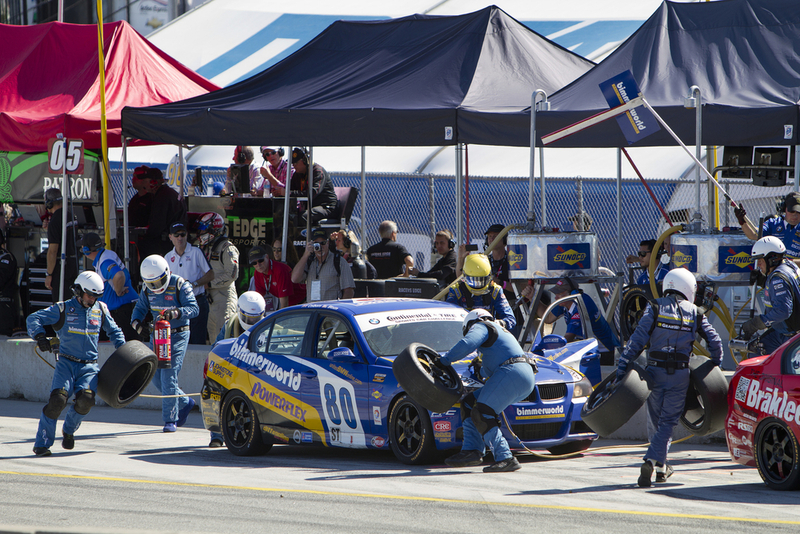 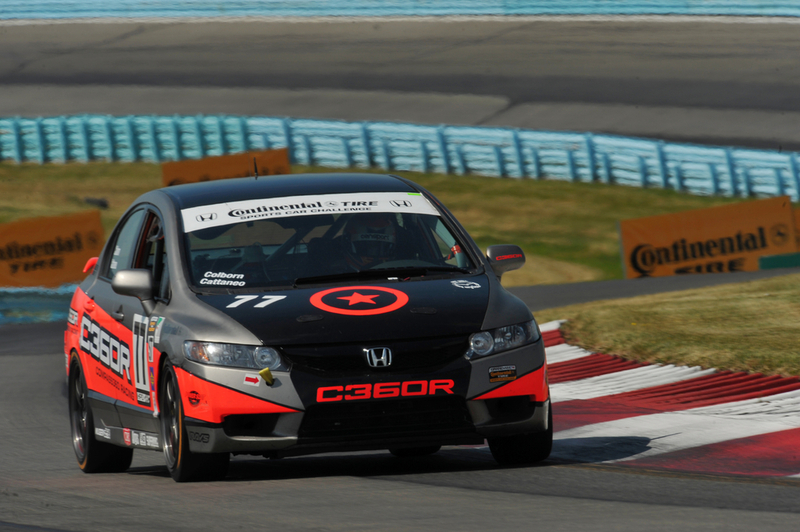 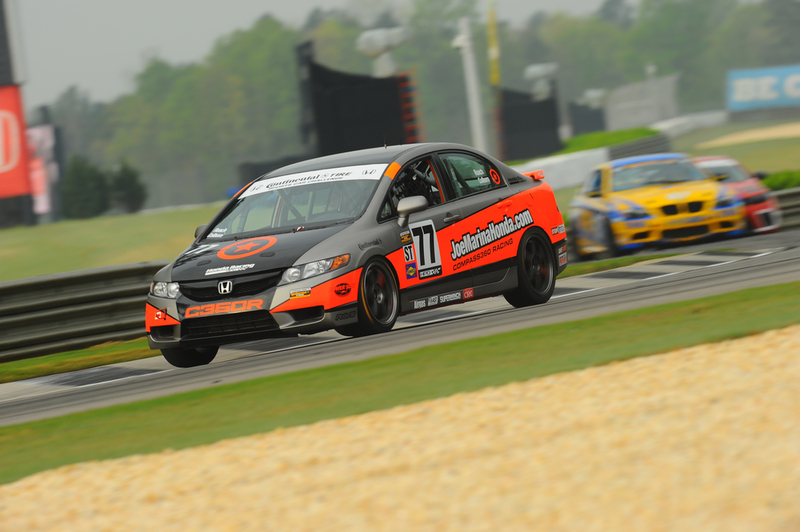 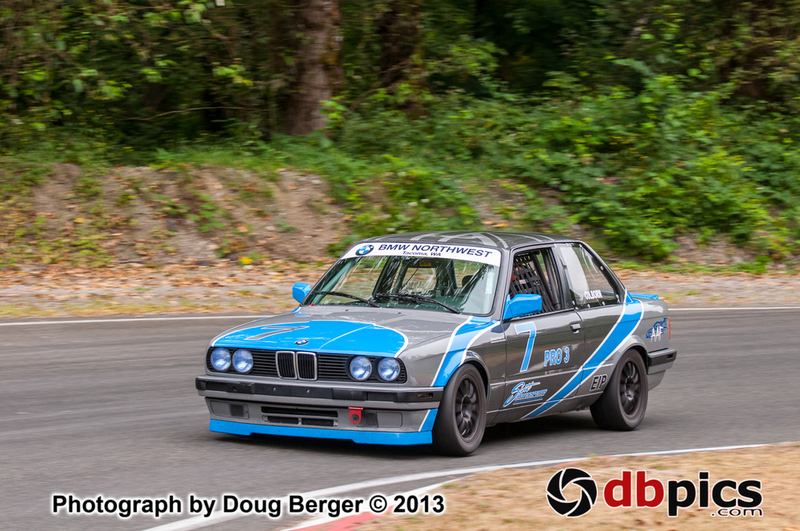 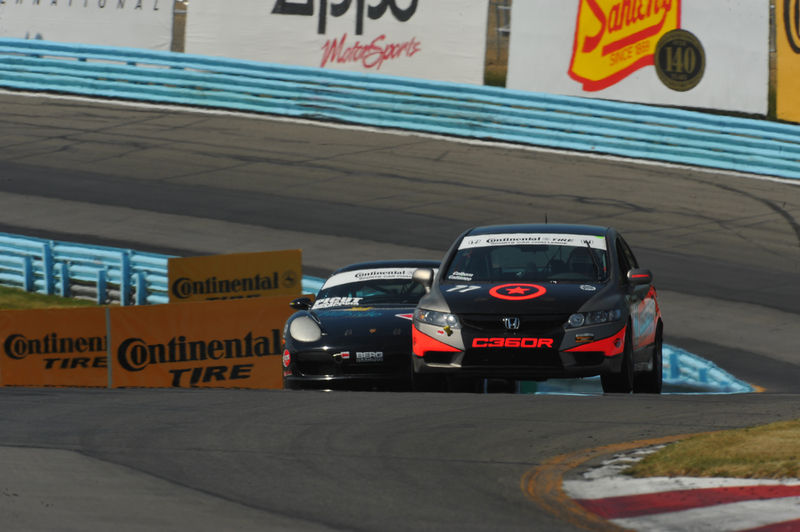 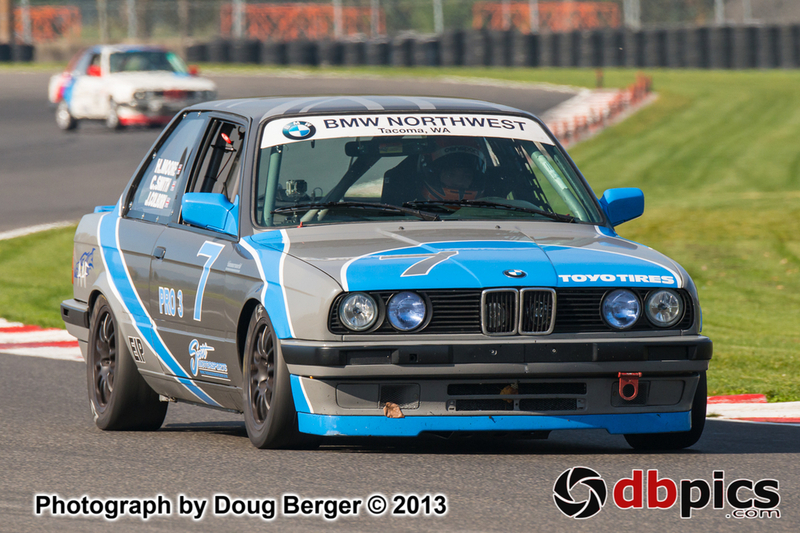 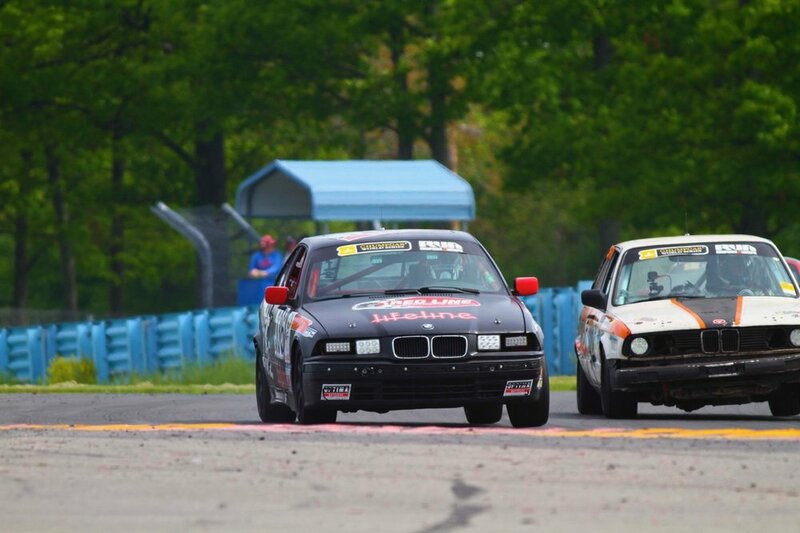 From HPDE driver to racer! 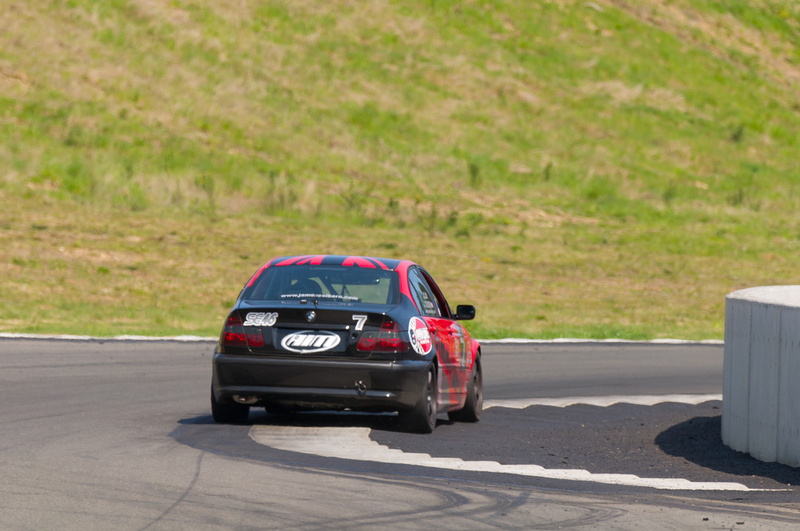 As a quick recap, I made the suggestion that when studying your own performance using data capture systems, you needed to use your own approach. 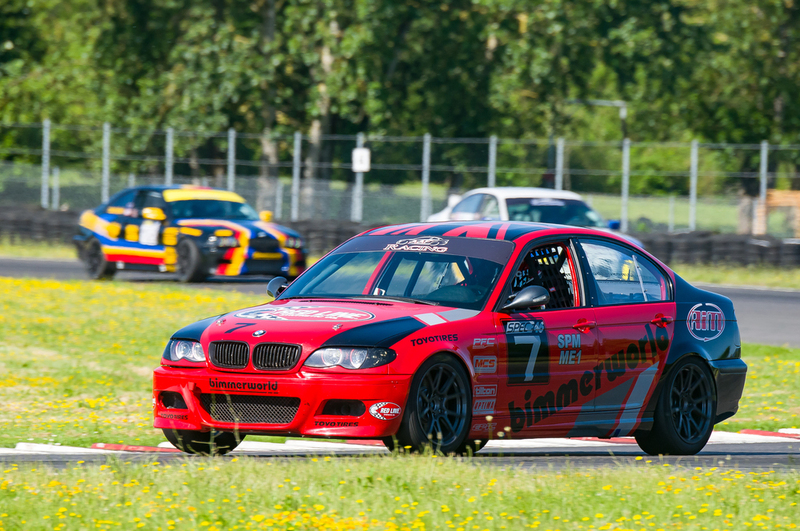 I presented my personal formula: What was happening (what lap was faster); Why it was happening (which lap was faster or slower in a particular part of the track); and finally, How it was happening (what was the driver doing to make this happen). 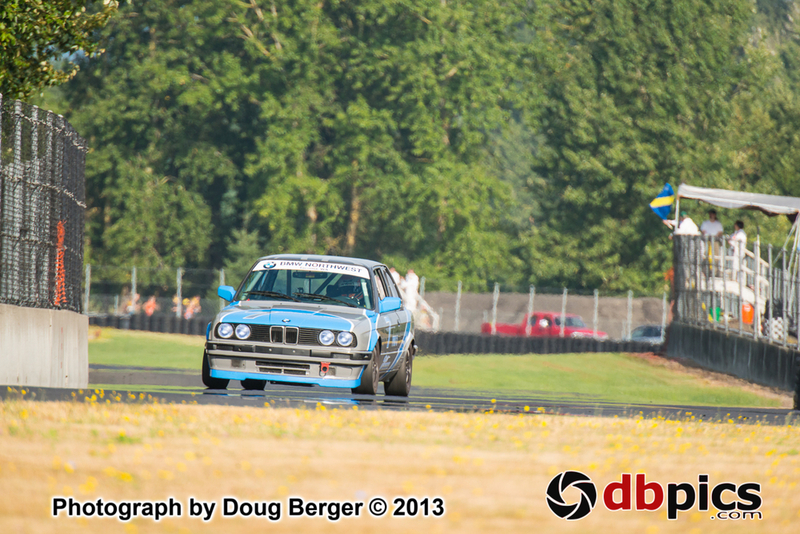 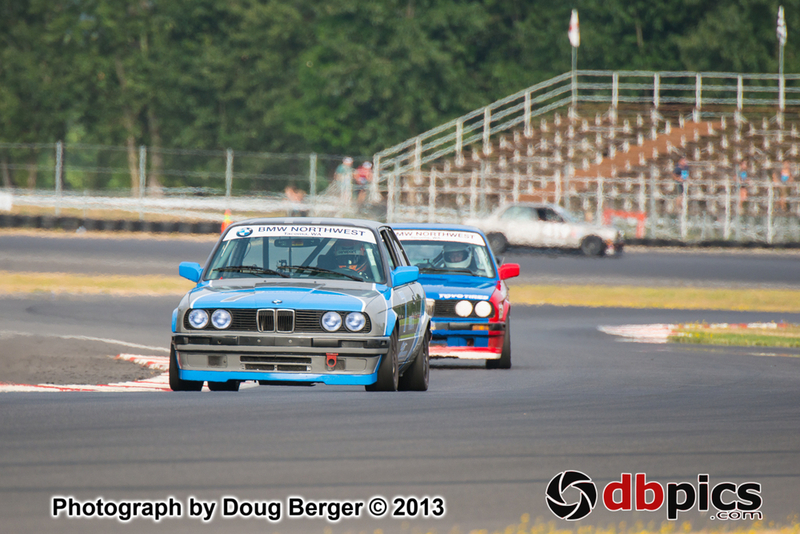 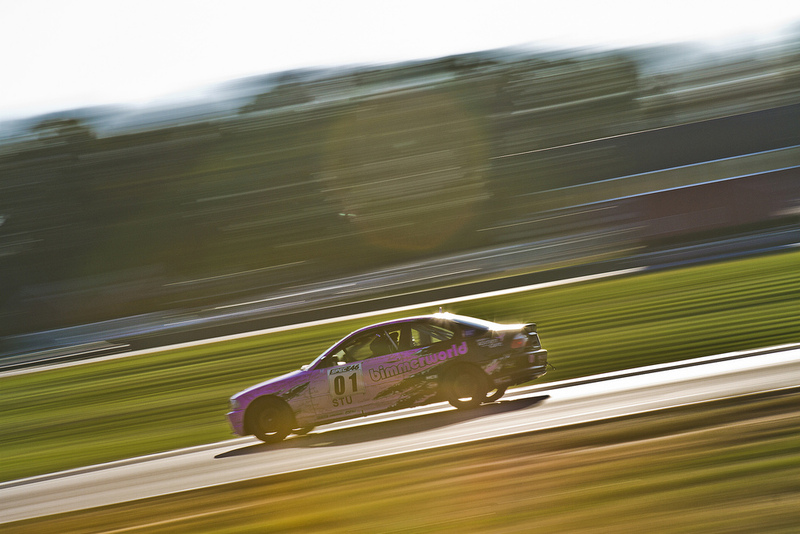 SE46 - Portland International Raceway - Battling The Heat! 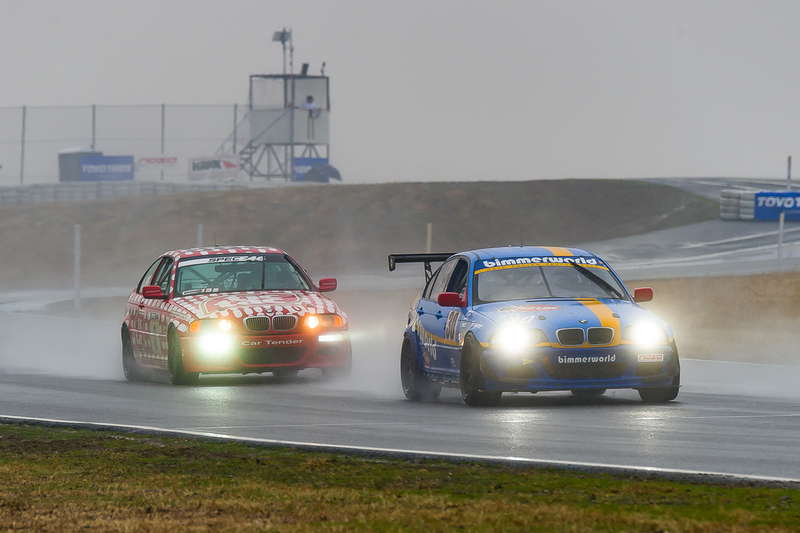 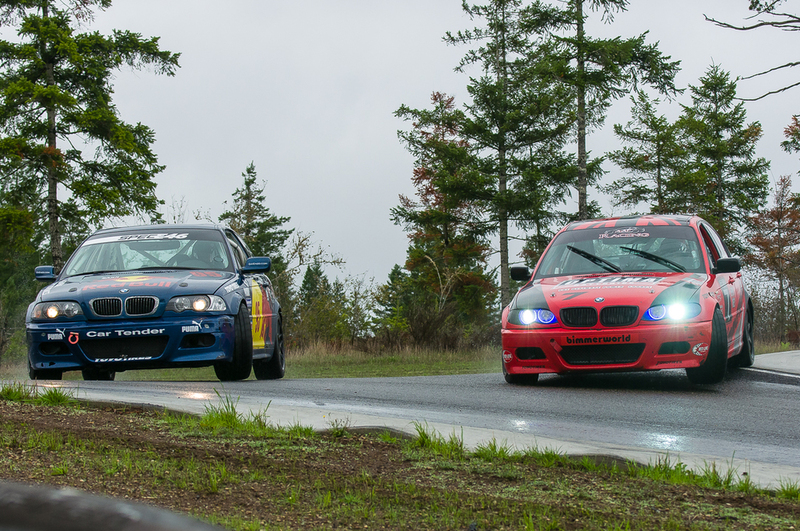 SE46 - The Ridge - Colborn vs. Hurley - Rain Race! 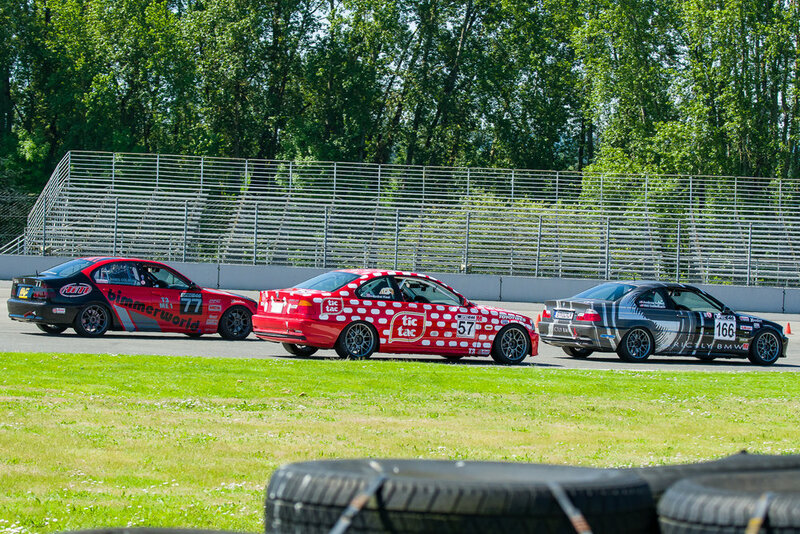 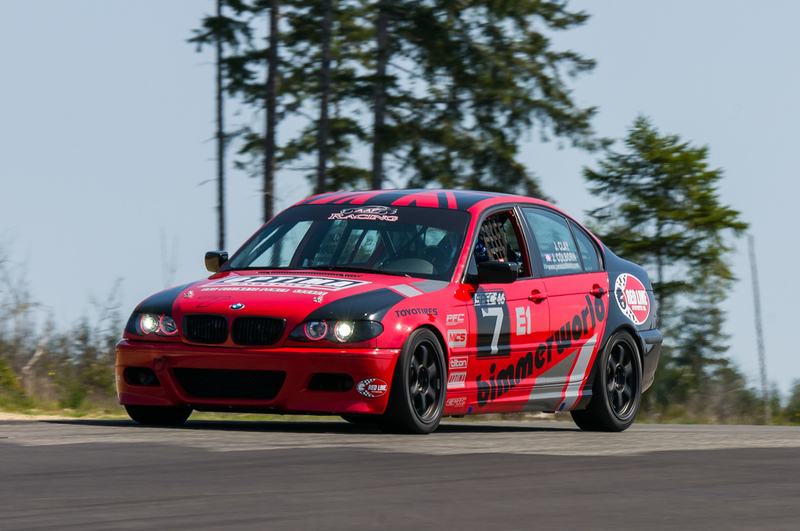 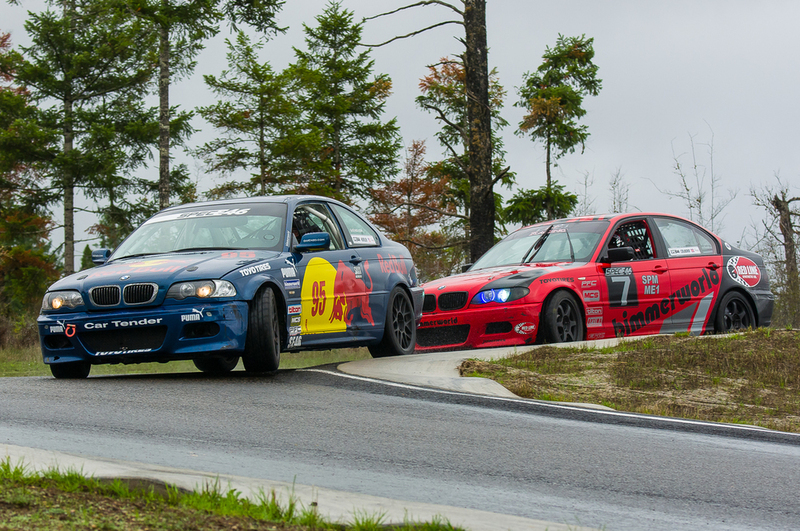 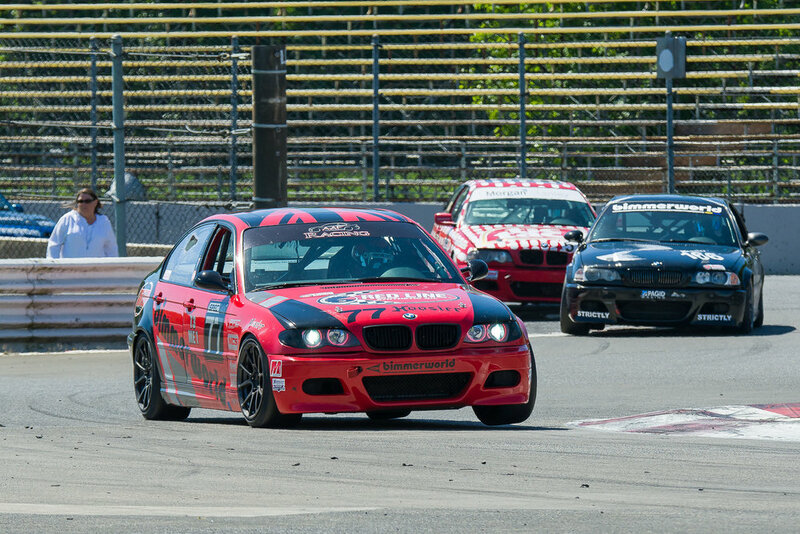 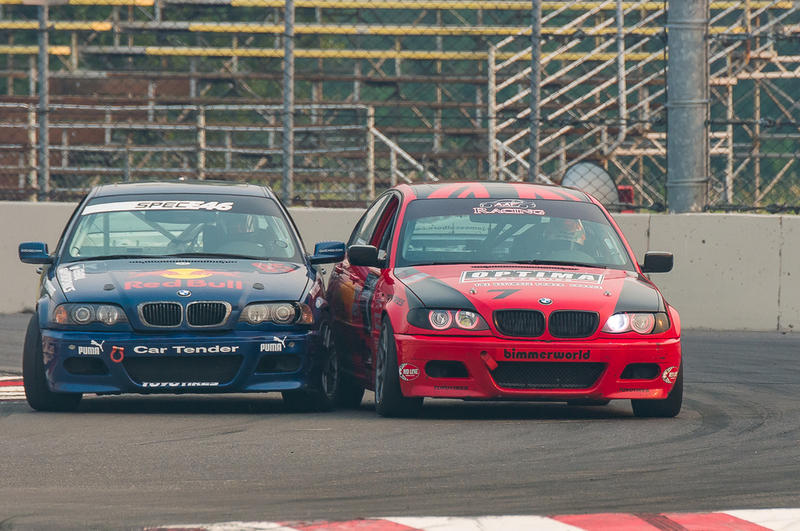 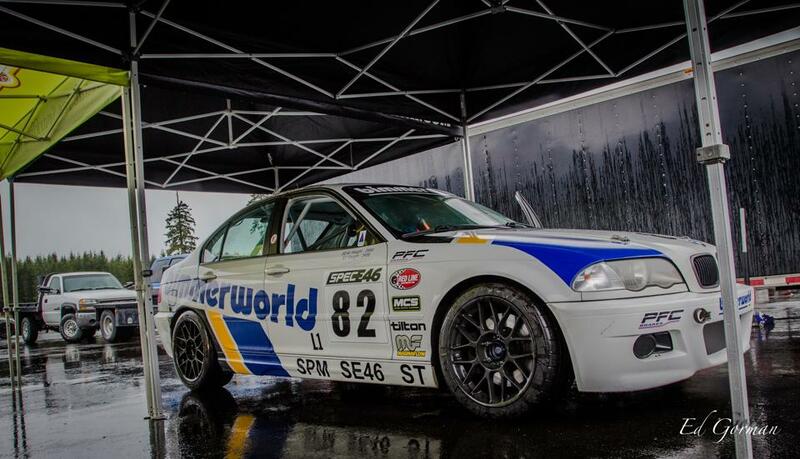 Watch a few laps from Spec E46 testing in Spokane Washington. 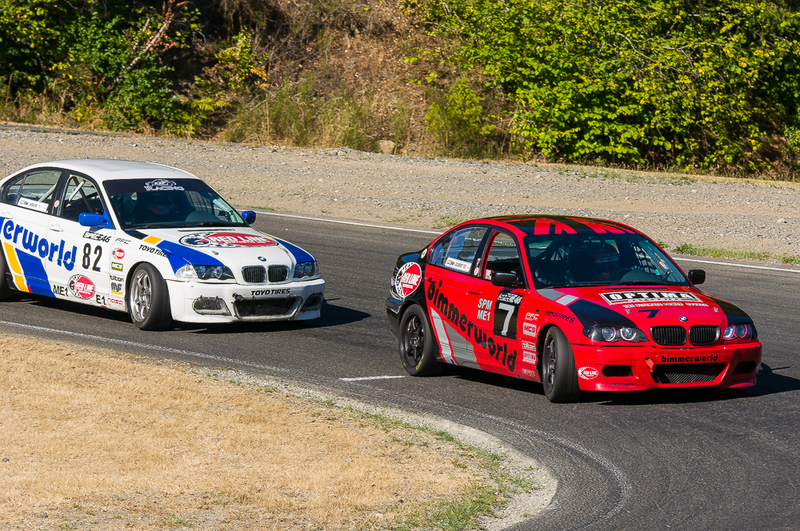 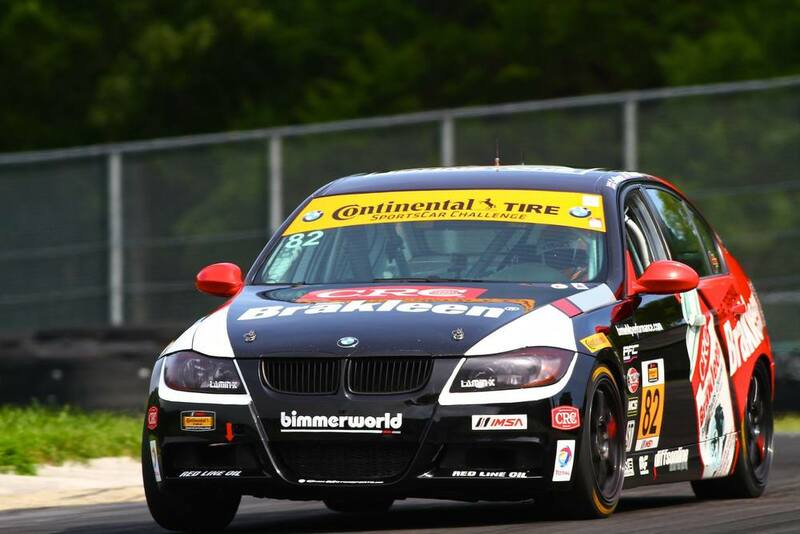 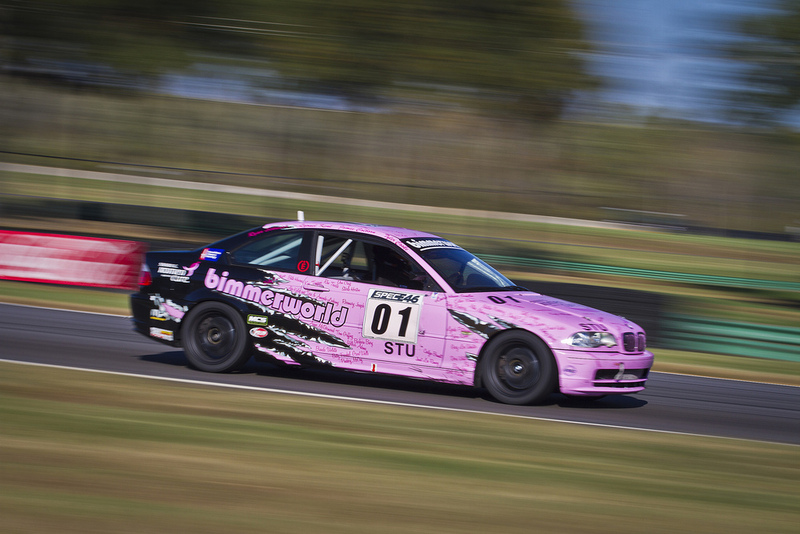 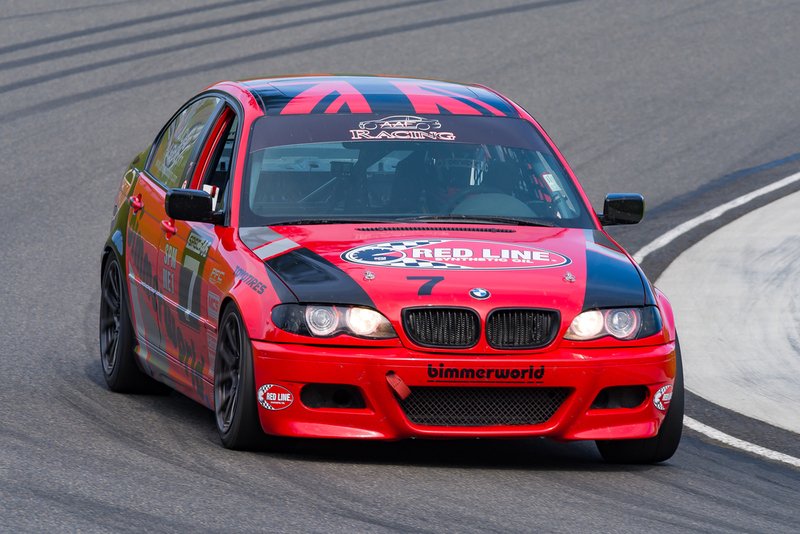 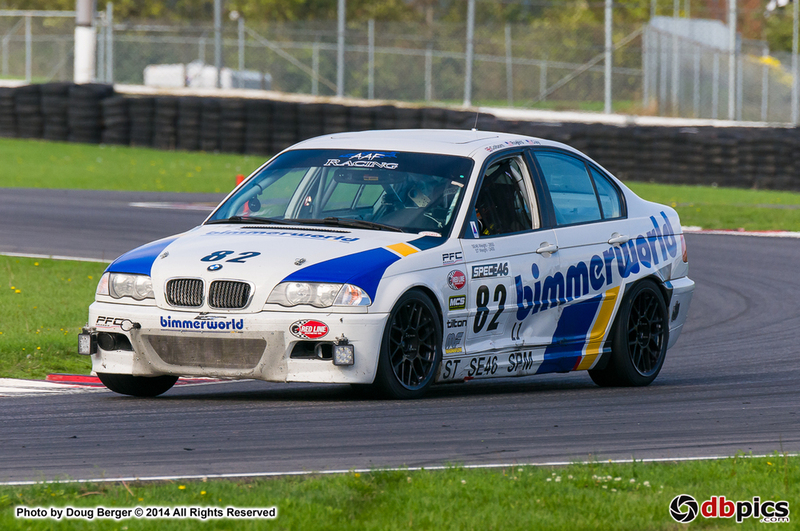 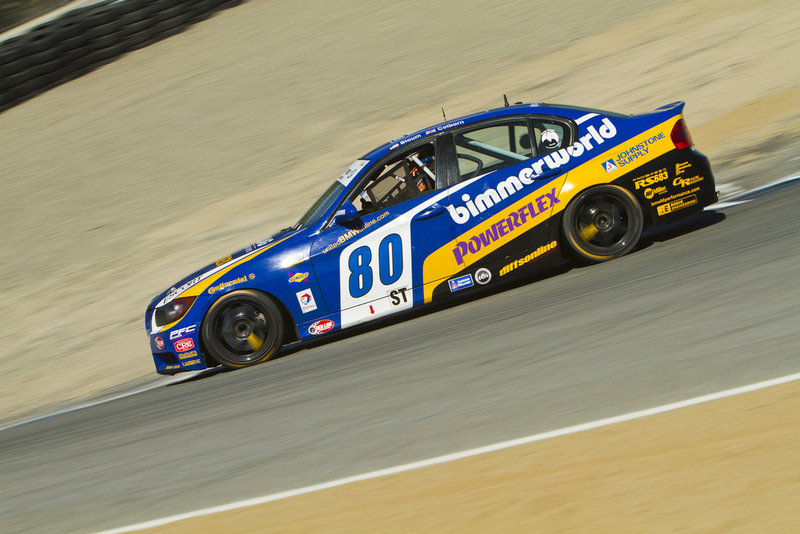 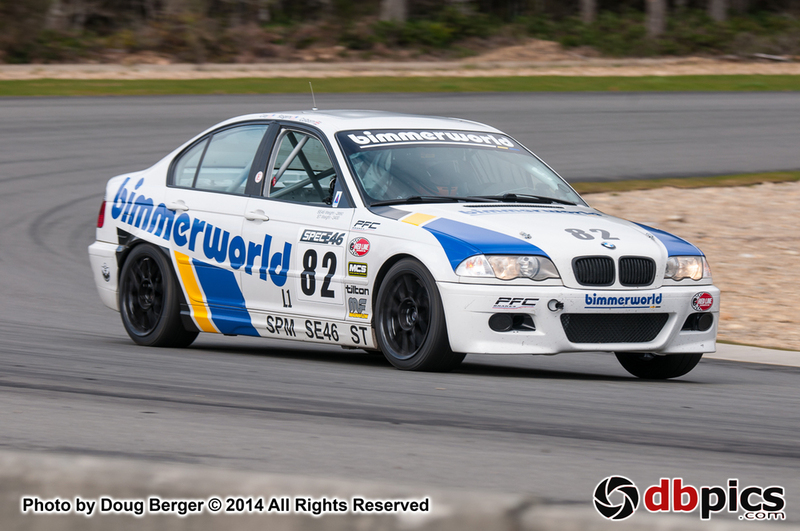 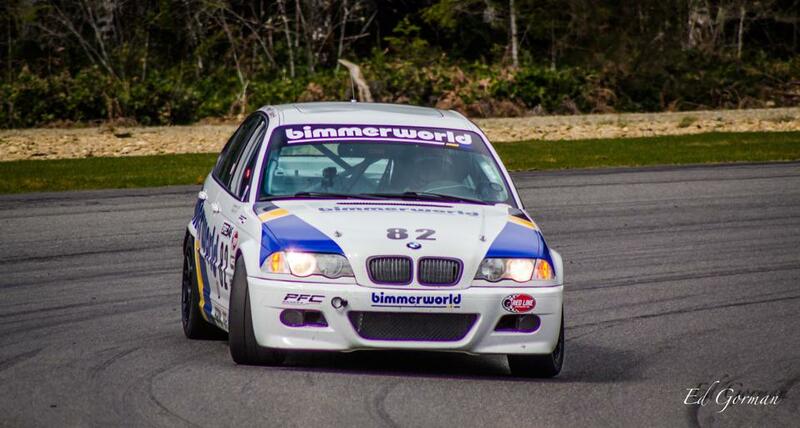 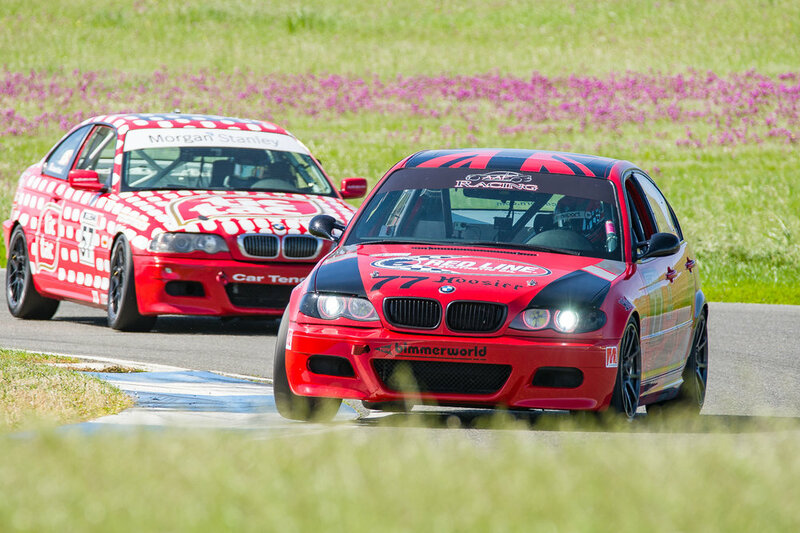 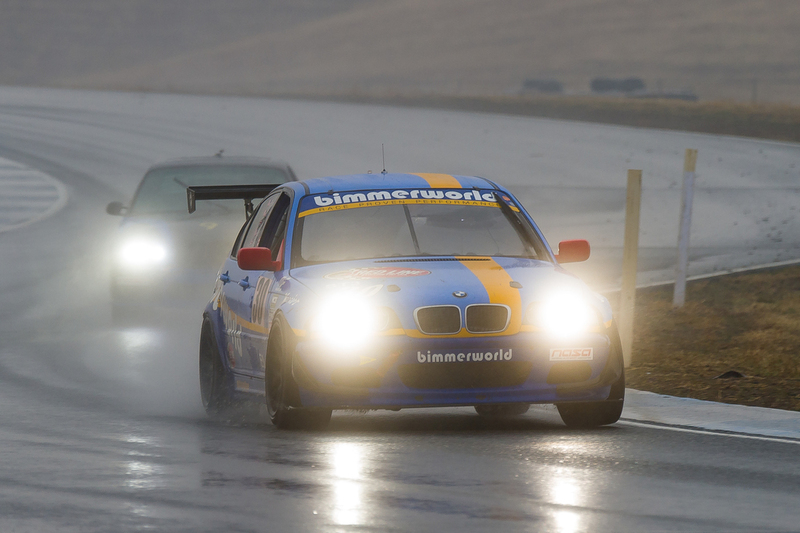 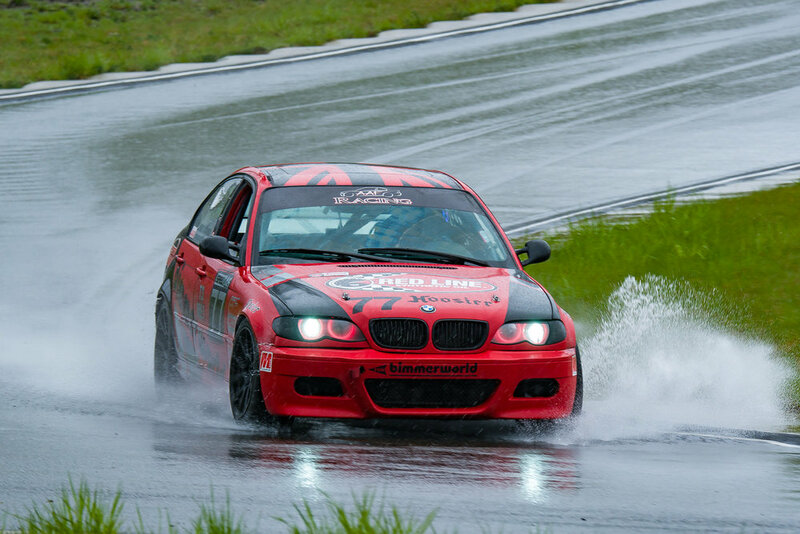 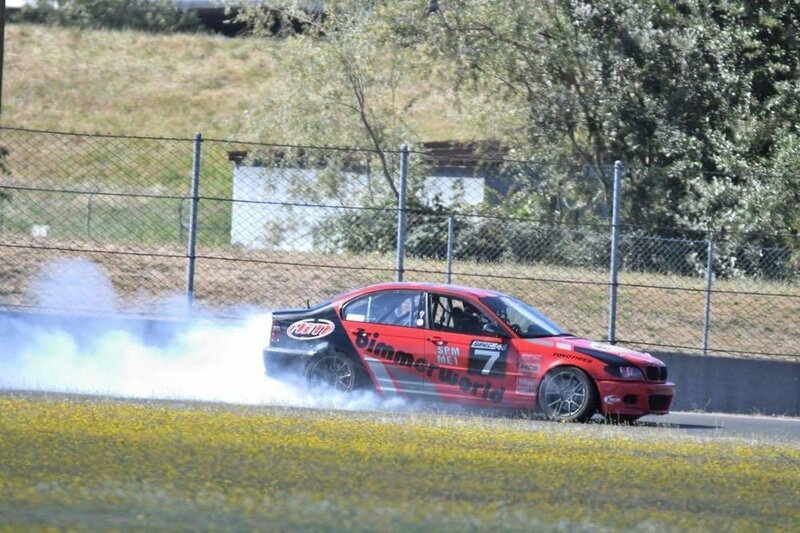 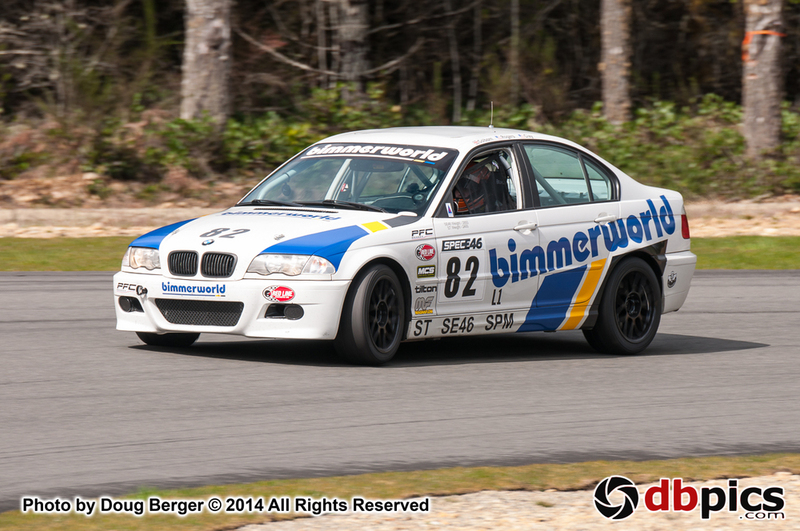 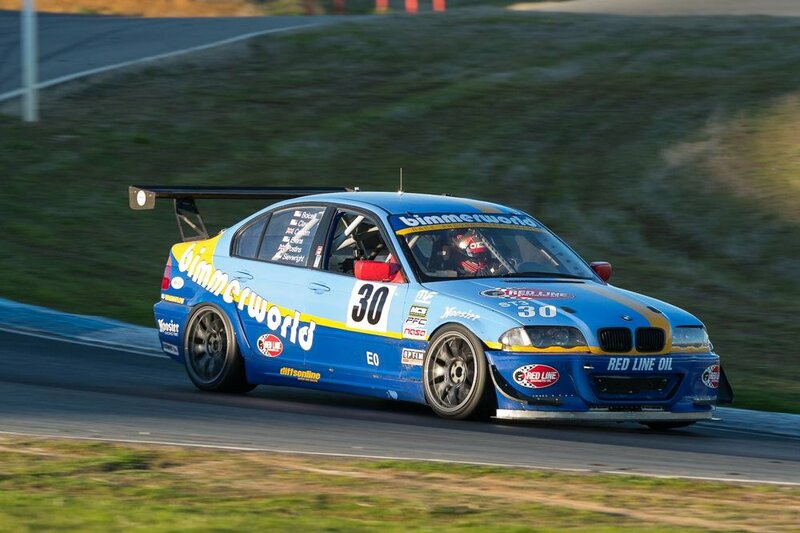 James Colborn driving the BimmerWorld #82 Spec E46 car after tune and exhaust added. 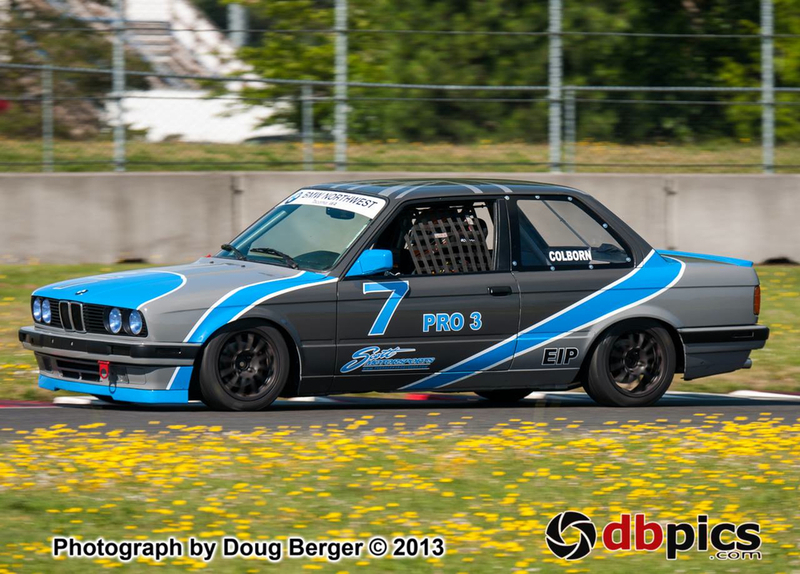 First ever PRO3 win! 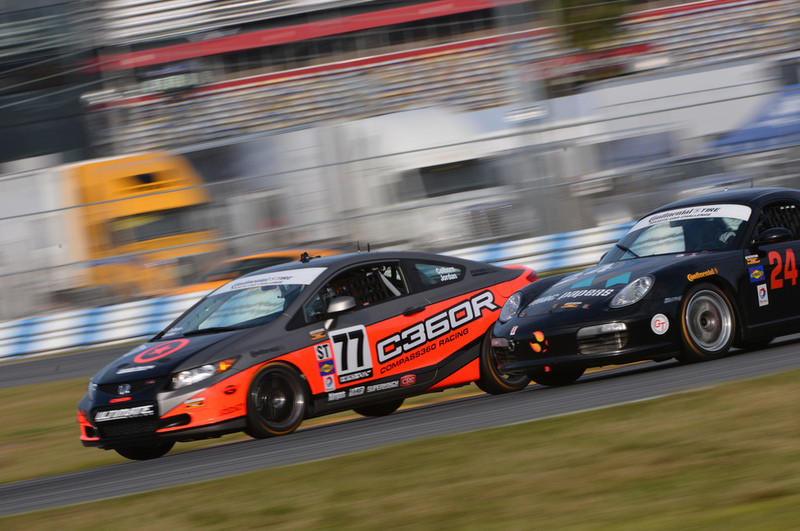 ORP in 95f heat battling with Dan Gavrila and Cody Smith.